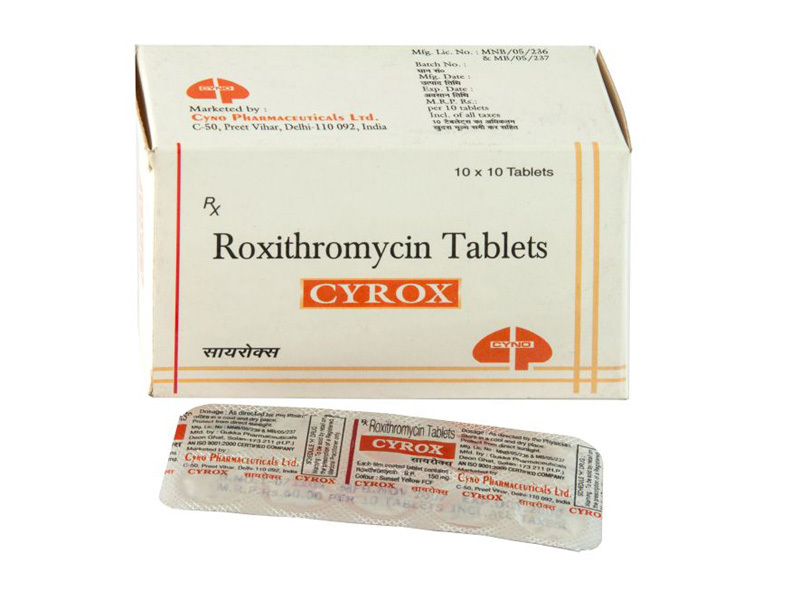 Roxithromycin is a semi synthetic long acting macrolide antibiotic. It binds to the 50S sub unit of bacterial ribosome and inhibits translocation.ie: they interfere with the transfer of the newly formed peptide chain from the A site to the P site and fails to expose the A site .So that A site is unable to bind with the next aminoacyl t RNA complex. This leads to premature termination of amino acid chain and there by inhibits protein synthesis. Digoxin: Increases absorption. Midazolam: Increases its half-life. Terfenadine: Serum levels elevated leading to ventricular arrhythmias. Disopyramide: Displaced from its protein bound sites. Store in a cool dark place. Keep away from heat and moisture.